The world's population is aging while many countries' birth rates fail to keep up. There are now more people over the age of 65 than there are under the age of five - a dispersion that's never occurred before, according to Deutsche Bank. The data point is part of a broader trend with widespread consequences for productivity, inflation, and global growth, economists say. Fund managers are taking notice of "secular stagnation" conditions often associated with persistent low inflation and low growth, and adjusting their allocations accordingly. The world's population isn't getting any younger. In fact, it's getting much, much older. And that has sweeping implications for global growth, economists contend. There are now more people on Earth older than 65 than younger than five for the first time, according to a Deutsche Bank analysis of United Nations data, Haver Analytics data, and the firm's global research. The extreme data point underscores a broader economic trend that some economists are warning clients about: declining fertility rates lead to an aging population, which is thought to usher in depressed productivity, labor-force participation, and stagnant inflation. More indirect results of declining birth rates may also have an impact on macroeconomic factors like homeownership. And the answer to this problem is: America must open its borders! The first legallly murdered abortion victims after Roe could have been grandparents by now. People used to have 10 kids so of course there were more kids. Also the life expectancy has been getting longer and longer as people quit smoking and work at less dangerous jobs so of course the over 65 population increases. It actually makes sense. The thing I would be most worried about is how senior discounts are going to affect the economy when more people are asking for them. This should be good for global warming. There’s the other side of this equation as well. With lots of people over 65 that means in the next decade or so there’s going to be unprecedented wealth transfer to people in my age bracket. I.e. people in their 40’s and 50’s. Probably well in excess of 1 trillion dollars of wealth just in the United States. A lot of that money will end up getting dumped into the economy in the form of houses and cars and things like that. Queuing failure of medicare, government and union pension plans, social insecurity in 3, 2, 1 ... Crash. And the world’s population will increase from the current 7.7 billion to 9.7 billion by 2050 and to 11 billion by 2100 according to current projections. 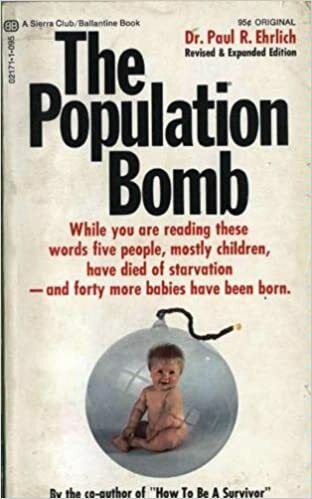 Population demographics, like many things on this planet that were created by GOD, are something that human beings really AREN’T smart enough to take control of. A lesson learned too late I suppose. Please tell me that was sarcasm. But but it’s a choice (abortion, that is). All those unfortunates who’e made that choice will reap the rewards when they have no one to do all the work when they’re old. All those unfortunates whoe made that choice will reap the rewards when they have no one to do all the work when theyre old. Theres the other side of this equation as well. With lots of people over 65 that means in the next decade or so theres going to be unprecedented wealth transfer to people in my age bracket. Yep. My pre-Boomer parents recently passed away within 3 years of each other and my two brothers and I received a nice chunk of change in inheritance. Not crazy money, by any means, but it was a nice gift between the three of us after their house was sold and debts were paid. Probably lots of middle-class Gen-X'ers and Millennialls looking at low six figure inheritances when their Boomer parents start dropping. Democrats working to ensure the government gets their fair share of money that had already been taxed. Theres the other side of this equation as well. With lots of people over 65 that means in the next decade or so theres going to be unprecedented wealth transfer to people in my age bracket. I.e. people in their 40s and 50s. At 74, it's time for me to blow my money on wine, women and good times. I know you are joking, but I think that is exactly what is being discussed behind closed government doors, and why the sudden love of illegals. Same with europe. For the growth dependent economies to not collapse, they need to have a constant growth in POPULATION. When people stop having babies (whether they want them or not) thanks to all the forms of birth control available, the economy is in trouble a generation later. This was inevitable. Eliminating abortion on demand would help. So let people over 65 get jobs! The $15 mandatory minimum hourly rate has made it impossible for the over-65 to get jobs.